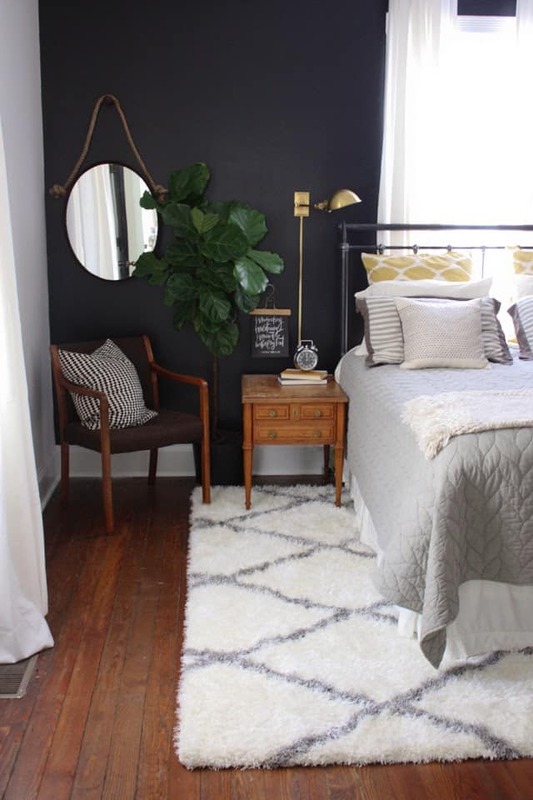 If you follow me on Pinterest you probably already know that I have a thing for black bedrooms. 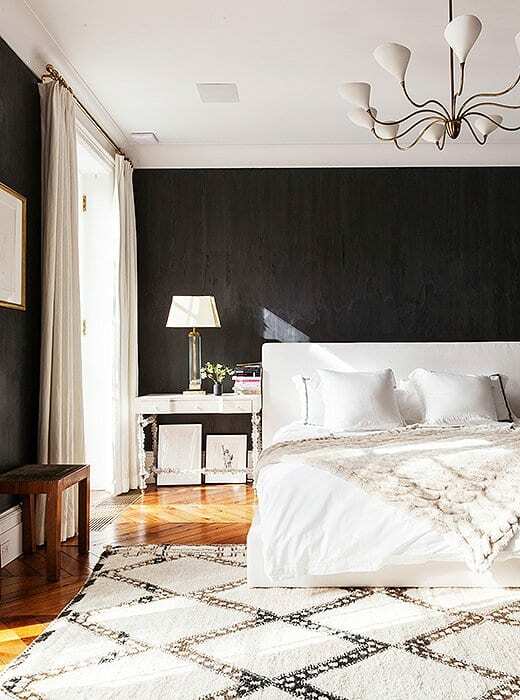 Yes, I think that deep dark black bedrooms are so stunning. 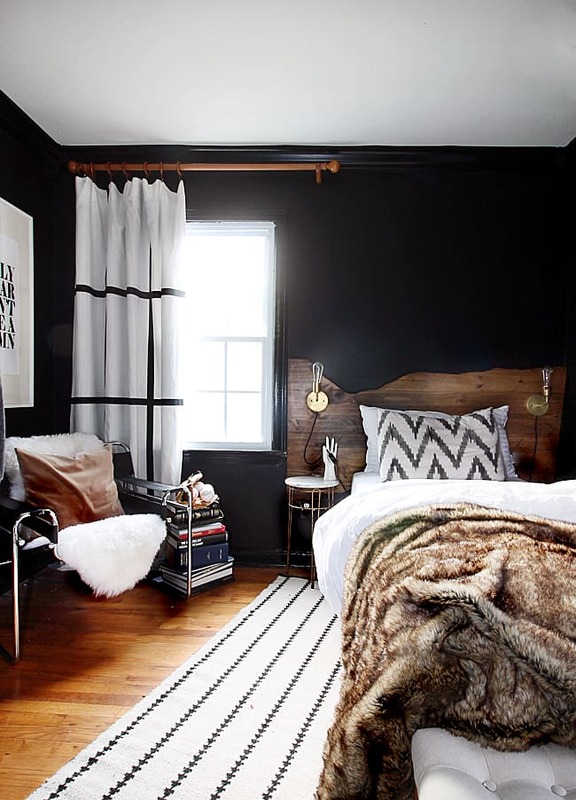 Just about every bedroom that I fall in love with has dark walls. 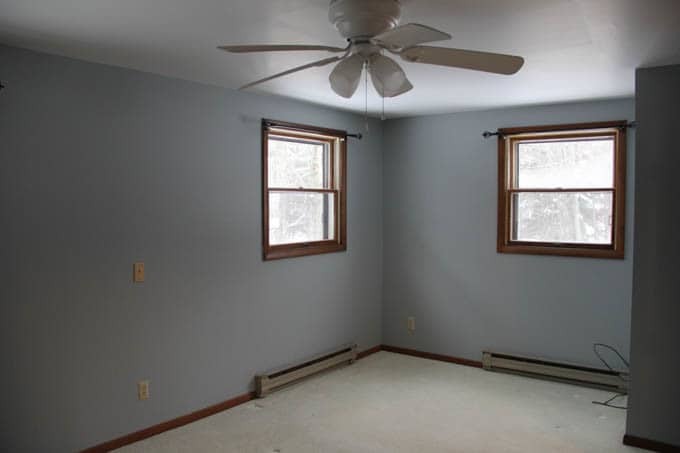 Currently our bedroom has baby blue walls and it needs to be the next room painted in our house. When I told matt I was considering painting it black he hated the idea! 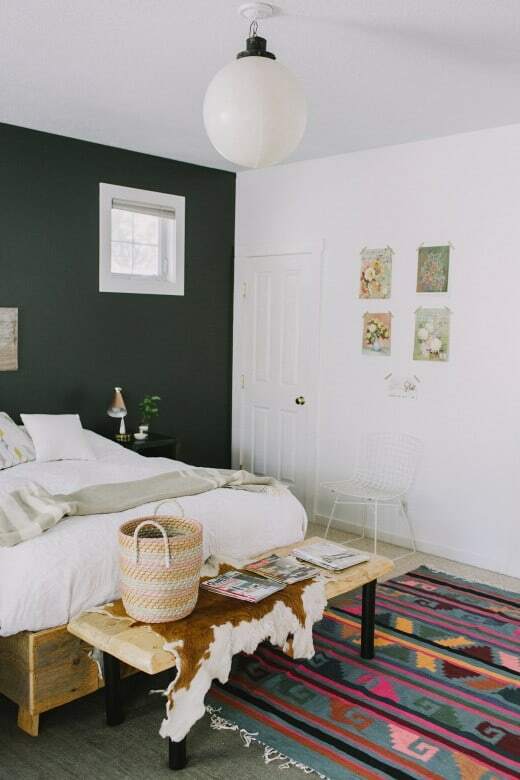 I’m still not sure what to do, so while I think on it, here are some inspiring black rooms that I have fallen hard for. 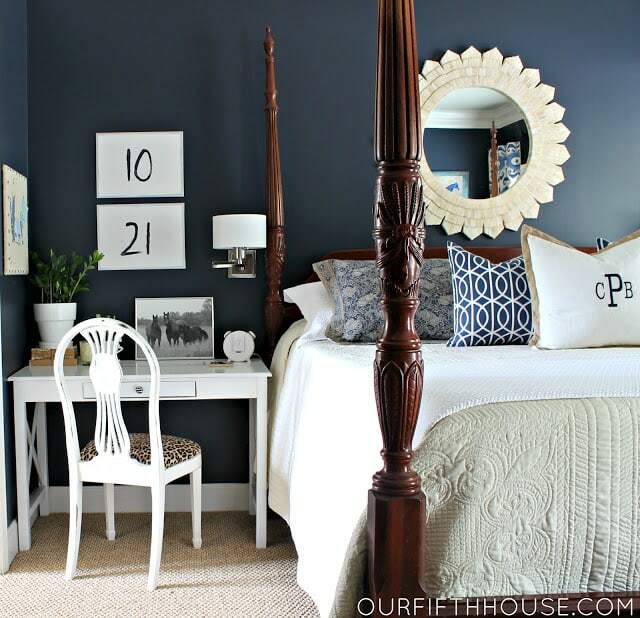 Could our baby blue room pull off a shade of deep dark black?! I did LOVE the bathroom that I painted black. Or should I play it safe and just do a black accent wall? I’ve been loving the dark dramatic look as well, but kind of scared to go for it! 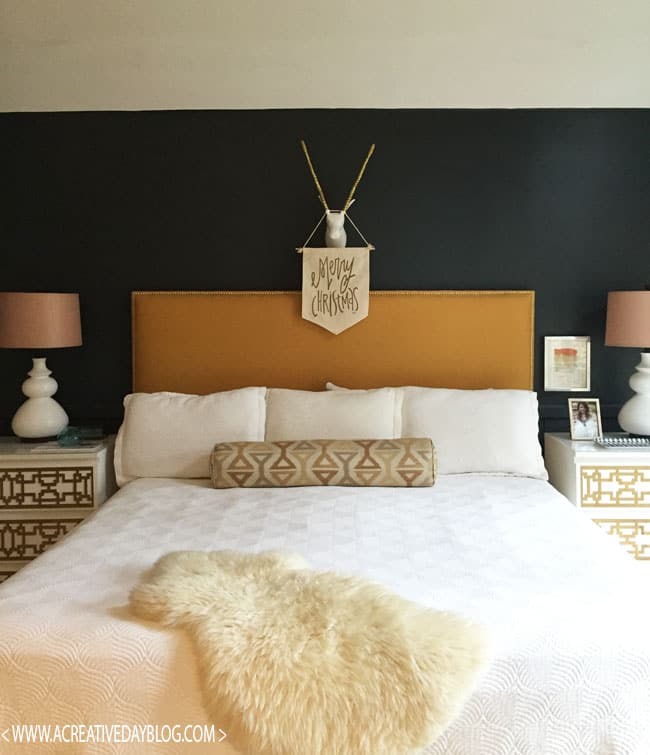 I do a segment on my blog called “Why this Room Works” and featured the Hunted Interior room if you want to check it out. 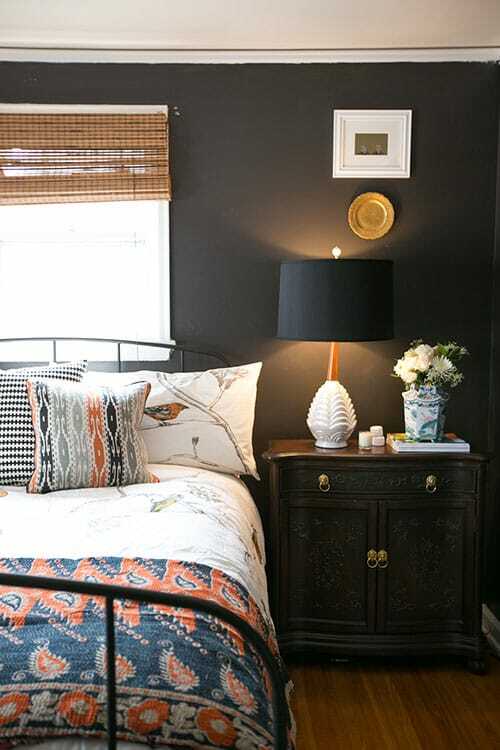 If you paint your room black, would you leave the natural wood dream or paint it as well? 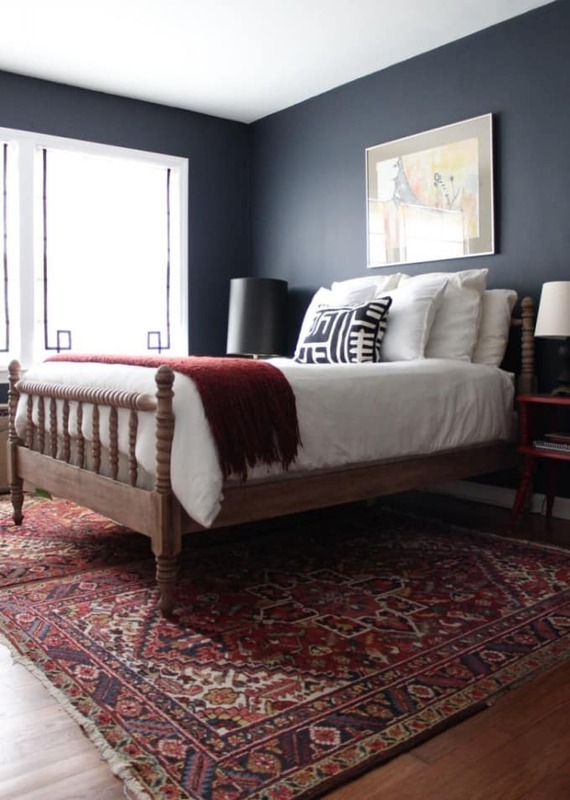 I think the black could look good if you had some stark white bedding or a bold color that popped against it and helped brighten the space back up. I love your “Why this Room Works”! I’m really not sure on the trim. 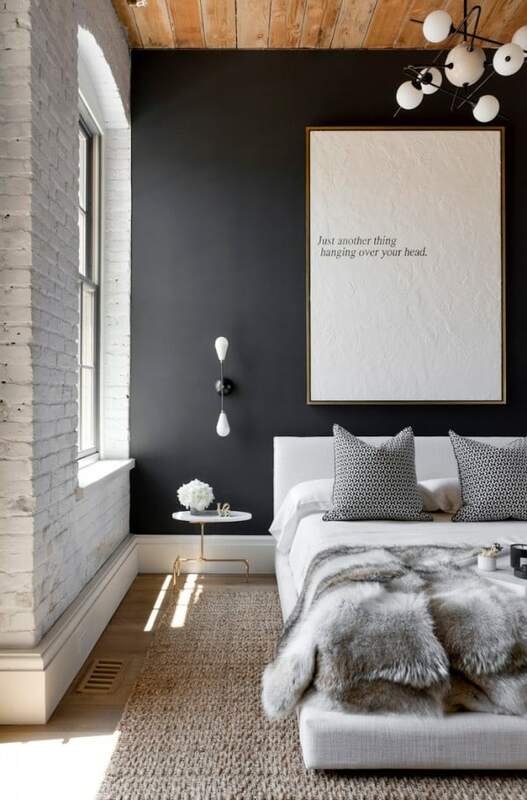 I love the way that white trim and windows pop against black walls. I’ve also always loved the look of black windows though. If I went light and bright on the walls I could do some dark dramatic windows. I’m your newest blog follower, thanks for sharing it with me! Thanks for following! I can’t wait to see what direction you go with the room!